Walter was born on 13 October 1899, the son of Walter Giles and his wife Kathleen née Jones. His father was a tinman or whitesmith (a metalworker working with tin, pewter, etc) employed by a local ironmonger. In 1901 the family were living at 8 Eastbourne Terrace in Speenhamland (demolished) moving to Berkeley Terrace (Berkeley Road) by 1911 and around the corner to Russell Road by the time Walter senior was in contact with the Navy following his son's death. At the age of 15 Walter junior left his job as an errand boy to join the Royal Navy on 11 May 1915 as a ship's boy - achieving a sub-rating as a bugler on 4 September 1915. His first posting, HMS Impregnable, was a shore establishment at Devonport where young Walter would have been introduced to Navy life and trained as a bugler. He evidently did well and was promoted to Boy 1st Class after four months. The following day he was posted to his first ship, HMS Natal. HMS Natal was an armoured cruiser built between 1904 and 1907 by Vickers Son & Maxim at Barrow-in-Furness at a cost of £1,218,244 - money largely raised by the people of the Colony of Natal in South Africa, hence the name. 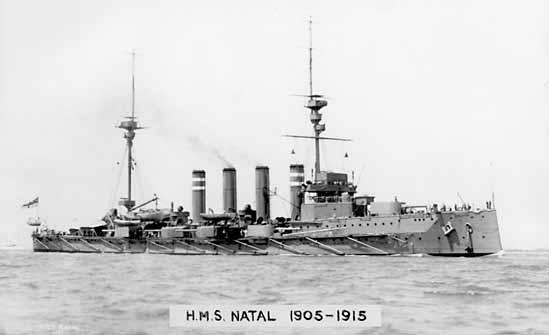 At the outbreak of war in 1914 HMS Natal joined the Grand Fleet; in 1915 undergoing a refit in January at Cromarty. A few months of patrolling in the North Sea was followed by a very short refit at Cammell Laird, Birkenhead in late November 1915. She rejoined the 2nd Cruiser Squadron at Scapa Flow on 5 December. On 30 December 1915 the Natal was anchored off Cromarty and her captain, Eric Black, was hosting a party on board. About 15:30, without warning, a series of explosions tore through the ship, she capsized about five minutes later. 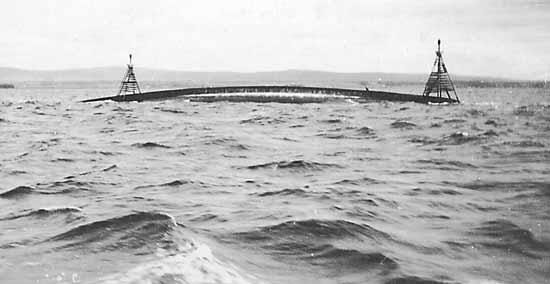 Initially it was thought that a German U-Boat may have torpedoed the Natal but investigations determined that the seat of the explosion was in either the rear 9.2-inch shell-room or the 3-pounder and small arms magazine. The cause was determined to have been an internal ammunition explosion, possibly caused by faulty cordite. Owing the the presence on board of numerous guests attending the party the number of casualties is variously given as between 390 and 421 - one of whom was sixteen year old Walter Giles. Among the crew of HMS Natal, lost by explosion on December 30th, was a Newbury lad, whose death is officially reported by the Admiralty. He was Walter Edward Giles, son of Mr and Mrs Walter Giles, of Speen-view-terrace, Newbury. He was only sixteen years of age, and had not been many months in the Navy, but sufficiently long to show that he was well adapted for seamanship. He was trained on HMS Impregnable, and obtained a first-class boy’s certificate. Sympathy is expressed with the parents in their bereavement, the shock being very great to the father, who has recently recovered from a severe illness. Walter's body was not recovered, he is remembered on the Plymouth Naval Memorial, Panel 6, and on Newbury's Town War Memorial.